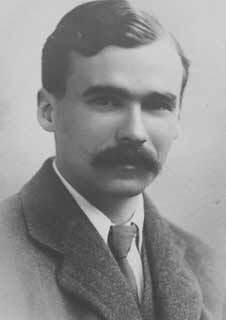 For the first time in a documentary film, the remarkable story of British composer George Butterworth (1885 – 1916), his music, life and times. Drawing on newly uncovered archival treasures, including the letters and memoirs of those who knew him best, All My Life’s Buried Here is the compelling account of a pioneering British composer, musician, folk song collector and dancer cut down in his prime on the battlefeld of the Somme. The south-west, Portishead to be precise, has major connections with Butterworth, who collected folk songs in the area prior to 1914, and whose mother Julia (who was the single greatest musical influence in his life) came from Portishead and is buried at the town’s St Peter’s church, which features in the film. In addition, many of Cecil Sharp’s rare and stunning photographic portraits of folk singers from pre-1914 Somerset feature in the film, as this was such a rich area for the collection of traditional music in those years. The film’s director Stewart Morgan Hajdukiewicz will be joining us for a Q&A session after the film.